Brenchley Homes Ltd was founded in 2004 as the building arm of Brenchley Properties Ltd, which had been investing in the local property market since 1996. From its inception the director’s mission was to build high quality individual properties in small exclusive developments and not provide homogenous generic homes. Using a small team of professionals we endeavour to produce the highest quality homes, without compromise. We look to improve and develop our understanding of what our customers want and hopefully exceed their expectations. Our ethos extends to all developments, whether it is your first home or one of our exclusive individual homes. In the last decade we have ventured into providing Social Housing for some of the largest Social Housing Providers in the country and we are developing this side of the business whilst ensuring our attitude to quality and integrity prevail. 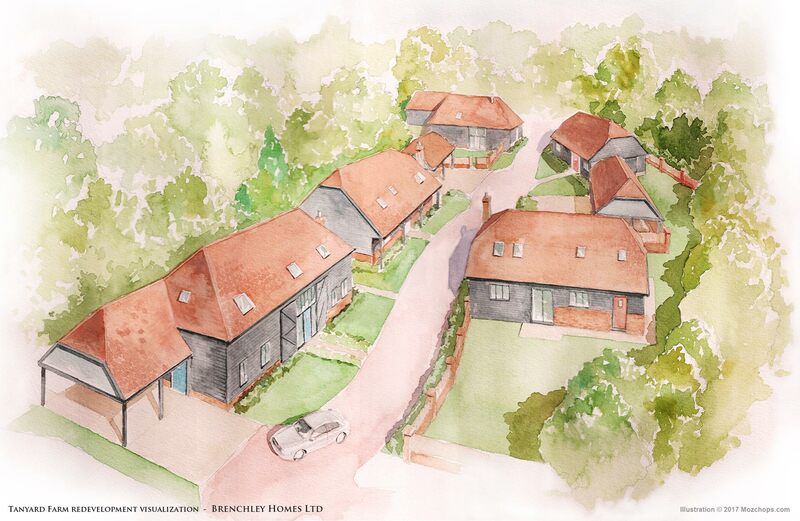 Set up in 2001, Brenchley Developments is the specialist land and development arm of Brenchley Homes. The company specialises in land procurement and strategic development opportunities, the Directors recognised that some opportunities needed a more long term attitude, so they decided to provide a company that can manage sites and finance these sites. We have access to specialist finance, planning and architecture consultants, plus a direct contact with Social Housing and major developers who will ensure the most successful outcome for any development. If you have any interesting development opportunities please contact us.